1.9 How To Apply For NWDA Recruitment 2019? 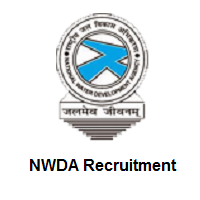 NWDA Recruitment 2019: Candidates who are interested to work in the National Water Development Agency organization, they can see the official notification for NWDA Recruitment 2019 to fill the Junior Engineer, Junior Accountant, Stenographer Grade-II, Lower Division Clerk 73 Vacancies. Applicants can apply for the NWDA Recruitment 2019 from 1st February 2019 to 22nd February 2019. Candidates you can also check the more information about National Water Development Agency (NWDA) Recruitment 2019 such as educational qualifications, age limit, selection process, important links, important dates, post-wise vacancies, others. Name Of The Post Junior Engineer, Junior Accountant, Stenographer Grade-II, Lower Division Clerk Posts. Candidates have to check the below section you can see the various posts and post-wise vacancies. Before applying for the NWDA Recruitment 2019, every applied applicant have to check the complete details about educational qualifications. For further information, you can see the official website of the National Water Development Agency (NWDA) Recruitment 2019 that is www.nwda.gov.in. Essential Qualification: Degree in Commerce from a recognized University or equivalent. (ii) Experience in finance/audit departments of Central/State Govt./ Autonomous bodies. Essential Qualification: (i) 12th class pass or equivalent from a recognized Board or University. (ii) Minimum speed in English typewriting of 30 w.p.m. or Hindi typewriting of 25 w.p.m. The higher authorities of the National Water Development Agency (NWDA) had provided the Selection Process For Junior Engineer, Junior Accountant, Stenographer Grade-II, Lower Division Clerk of they have to attend for the selection process. Applicants who had performed well in the entire selection process, they will be part of the National Water Development Agency (NWDA). All candidates can see the age limit details for all vacancies in this section. Application fee of Rs. 650/– for UR/OBC and Rs. 450/-for ST/SC/PWD/Female/Ex-serviceman candidates are to be paid online through SB Collect (Net Banking / Credit or Debit Card). How To Apply For NWDA Recruitment 2019? Initially, applicants have to visit the official website for the National Water Development Agency (NWDA) that is www.nwda.gov.in. In that have to see the many sections, you can go through the what’new section which is the right of the home page. Then, you can search the NWDA Recruitment 2019 link. Click on that link, then read the complete notification carefully. Recheck the application form one or two times, then click the submit button. Take two or more copies of the NWDA Recruitment 2019 application form for future reference. Our team Sarkari Recruitment had given the complete and genuine information regarding the NWDA Recruitment 2019 which are very favorable for all the applicants. Candidates can bookmark our site by clicking Ctrl+D, and they can also share this information with their friends also. Applicants have any questions, they can leave us a comment in below section. Thank You.